October 4, 2017 | 9:30 a.m.
Go to a Bethel event, and it’s hard to miss Jennifer Scott. She’s got a winsome, charismatic personality that extends far beyond her diminutive stature. She’s a two-time Bethel alum and a veteran biblical and theological studies adjunct who loves watching the “light bulb” go on as students study the Bible. Now, between teaching classes and going to family activities, she’s building relationships and planning events for Royals coast to coast as assistant director of alumni and family relations. 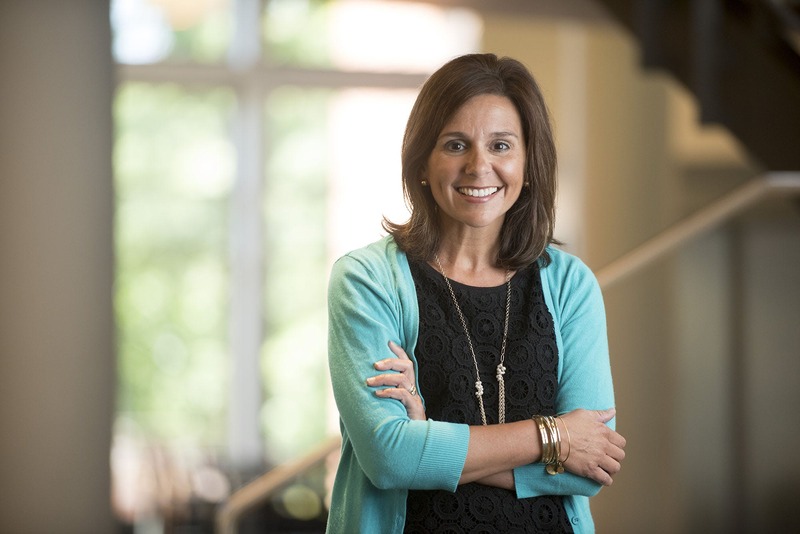 Here, Scott shares her heart for the Bethel community, her goals for her new role, and what she’s most excited about for this year. What brought you to Bethel, and what do you love most about this community? I first came to Bethel as a student in the fall of 1991. I was attracted to the people here, and I wanted to be a part of a Christ-honoring academic and relational community. Over the past 26 years, I’ve been a student in the College of Arts & Sciences and the seminary, and I’ve held staff and faculty roles across the university. I guess you could say I like this place! But really, I’m still so in love with the people in this community, and I believe wholeheartedly that we place our focus rightfully on high-quality academics, sincere and honorable relationships, and life-hearty faith formation. There’s no other place like Bethel. You wear quite a few hats, both at Bethel and outside of it. Give us an overview of those roles...and tell us what about them helps you serve as an effective “bridge” and advocate for Bethel parents. First and foremost, I’m a wife to Rob ’92 and a mom to Levi, Noah, and Cada. And for just over a year, I’ve been a part of our alumni and family relations team. We connect students, alumni, parents, families, and friends of Bethel to our mission of excellent Christ-centered higher education. Nurturing relationships and connecting people to Bethel resources is what we love to do! I’ve also been able to continue serving as an adjunct instructor. I’m in my 15th year of teaching BIB101—the required “Intro to the Bible” course—for the College of Arts & Sciences. Being in the classroom as students discover new things about Scripture and make their faith their own is such an amazing thing. As someone who works with both students and parents every single day, I have a unique perspective and can help parents understand the student experience at Bethel, while also helping our staff, faculty, and administrators wrap their minds around what parents need from the university during the college years. What are your words of wisdom for parents who have students at Bethel? Take things a step further and ask about their classes, internships, and what they’re learning in Chapel; take an interest in their new friends and professors; cheer them on in their on-campus activities; and challenge them to try new things. College is unlike any other period in a person’s life. It’s when students learn who they were created to be—apart from their families and other influences—and develop the interests and callings that God has uniquely placed on their lives. It’s an amazing thing to watch young adults blossom, but it also takes some prayer and a whole lot of grace from us adults! What new programs/initiatives are you most excited about for the coming year? Nobody knows the needs of parents and families better than—well—parents and families! So I am really excited to launch the first-ever Parent Council, made up of a bunch of Bethel parents from all walks of life who can speak to their needs and concerns and better inform our staff and administration. They’ll also be hosting events on campus and providing feedback about their experiences so far at Bethel. We’re hopeful that they’ll help make other parents and families feel more connected, serving as a kind of a bridge from families to the staff here. 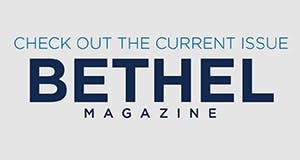 We also hope they’ll support incoming students and their families as they transition to Bethel—and ultimately advance the mission of Bethel University as it seeks to be the Christ-centered university of choice for this century. I’m so excited to be part of this team and what God is doing in so many lives here, and I can’t wait to see what this year brings. Find out more about Bethel’s resources for parents and families, as well as upcoming events. If you’re interested in joining the Parent Council for the coming year or getting involved with parent initiatives, contact Jennifer.